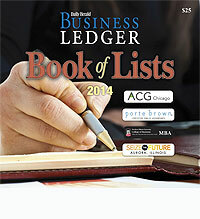 The 2014 Business Ledger’s Book of Lists has become an essential reference guide for area business owners and executives. No other publication offers such comprehensive listings of the major firms in various industries throughout suburban Chicago. The annual Book of Lists is without equal as a guide to sourcing business products and services in the region. Is your company not on a list? There is no charge for this editorial feature to qualifying companies. Call (630) 955-3593 or click here to be added to a list. Customer meetings are basic to doing business for companies and organizations both large and small, and the hospitality industry plays a huge role in making these meeting successful. 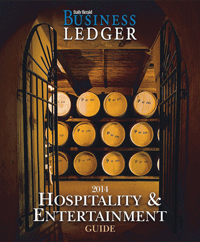 The Business Ledger Hospitality and Entertainment Guide is the definitive guide to successful business meetings in suburban Chicago. This special publication provides advertisers targeted editorial content and the opportunity to showcase their products and services to potential clients.